The Fire Marshal training course provides an understanding of fire safety within the workplace. This course provides an increased understanding of the reason behind Fire safety standards and regulations within a working environment. It also covers the nature of fire and its progression, associated hazard and risk along with the control measures that need to be in place to ensure the safety of clients and staff. By learning about these topics and how to put them into practice, the role of Fire Marshal can be fulfilled. 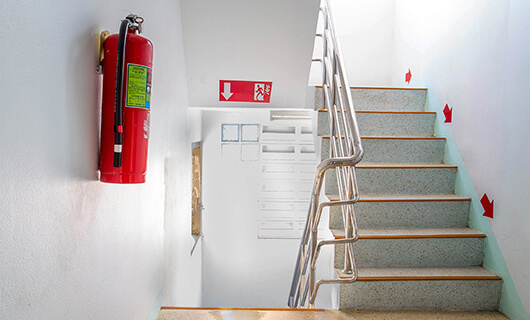 Delegates who complete this course will know that everyone is responsible for fire safety within the workplace and will recognise the consequences of a fire in any premises. This is just one of our fire safety courses that provide Fire Marshals with fire safety knowledge applicable to their workplace and their role in fire prevention. The Fire Marshal course is essential to those who need to be fully qualified and compliant with Fire Marshal rules and regulations. Centaur is accredited in its own right to run this course. This course costs £450 + VAT for up to 10 people or £850 + VAT for 10 – 20 people. Please contact us to book this course on 01772 433080 or email us at info@centaurtraining.co.uk to make an enquiry.